I wasn’t sure I could top last year’s Maddie-licious party, but decided to try with a county fair theme after going to the Minnesota State Fair. 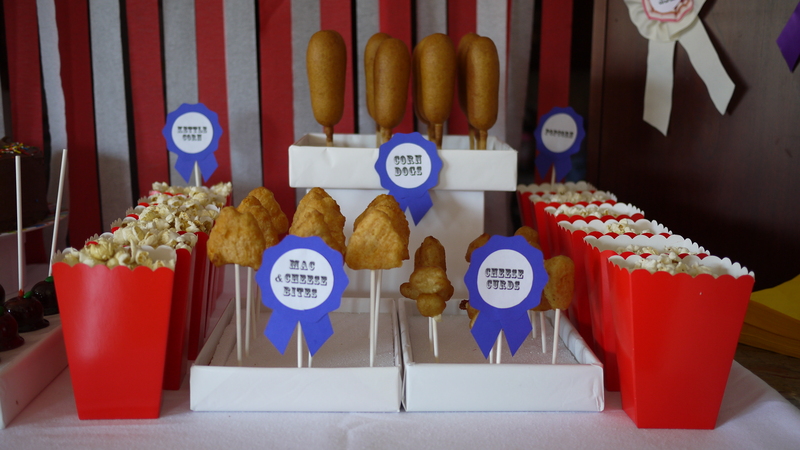 With a little planning, fun prizes and a lot of food on sticks, everyone has a fantastic time. 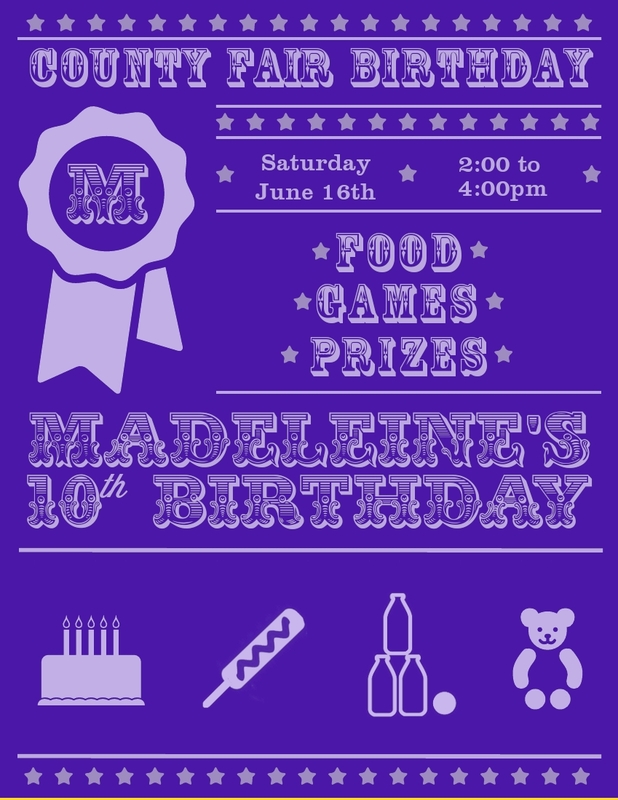 Melanie designed the invitation to look like a county fair flyer. I continued the award ribbon theme by making my own ribbons as well as cutting out ones from card stock to use as food labels. The labels for the prizes looked like tickets. I served corn dogs, mac & cheese bites, cheese curds, kettle corn, mini donuts (all from Target) and Elsa’s homemade birthday cake. I also ordered candy apple cake pops from Pop N Stuff NYC. Rita used velvet cake and actually coated them in candy. 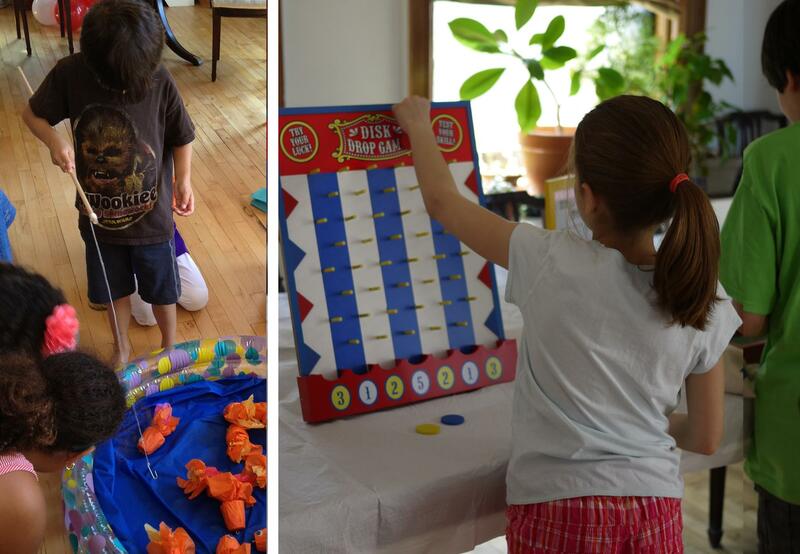 Of course, we needed some games so the kids could win tickets. I ordered the Spin-A-Prize wheel and the Disk Drop from Oriental Trading. They were actually pretty solid pieces. 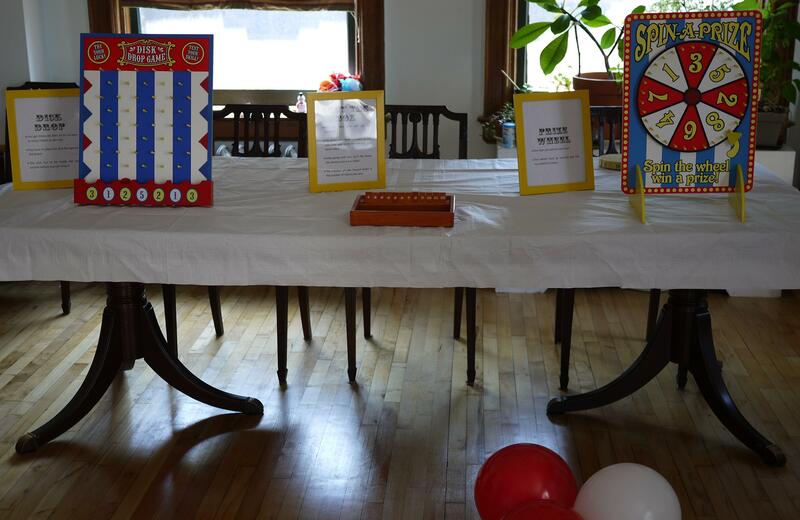 I also used a Shut the Box game I had gotten on sale at Amazon . The rules of each game were posted in colored frames from IKEA. Ping Pong Bounce and the Ring Toss rounded out the games. 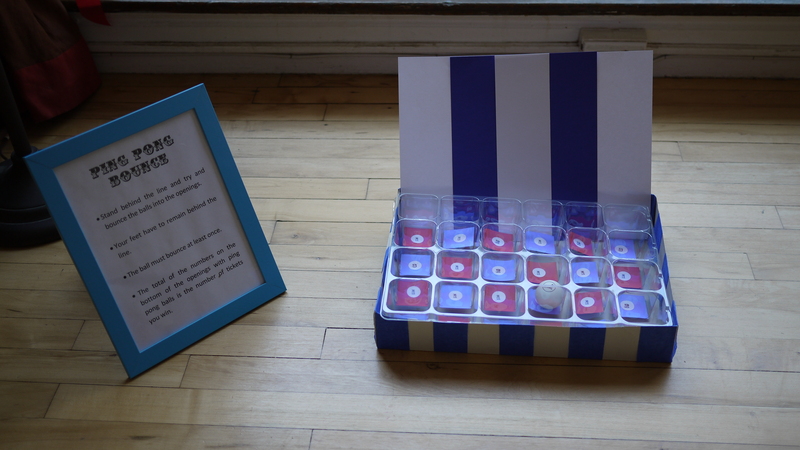 I made a Ping Pong Bounce game out of a white shirt box, an insert from an advent calendar that I saved for some random reason, round stickers and card stock. 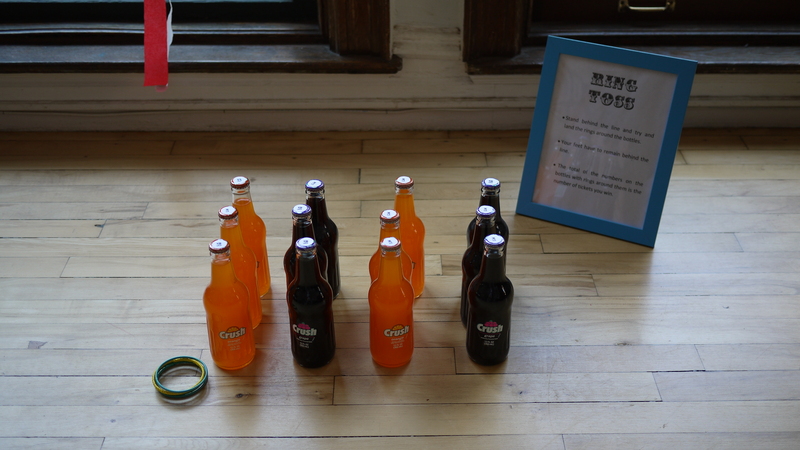 Soda bottles, stickers and bangles made up the Ring Toss. 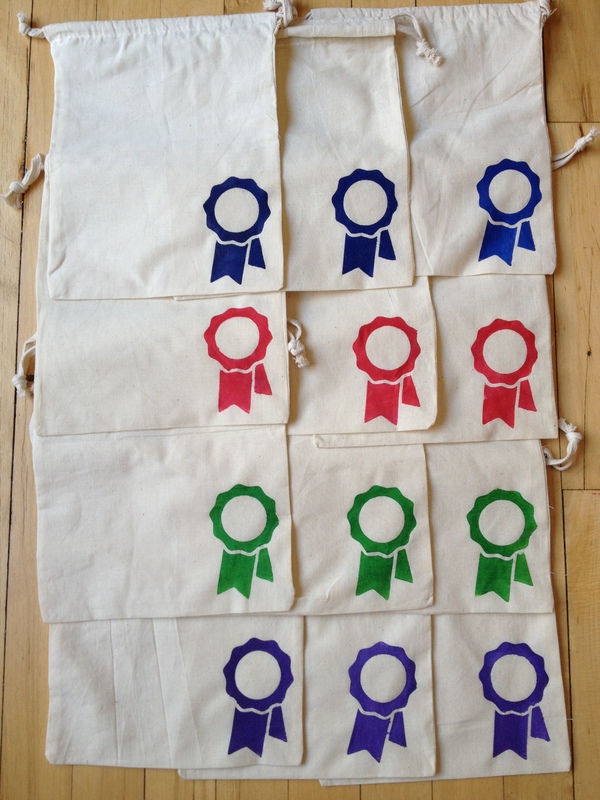 We gave each child a drawstring bag stenciled with a ribbon to hold tickets. 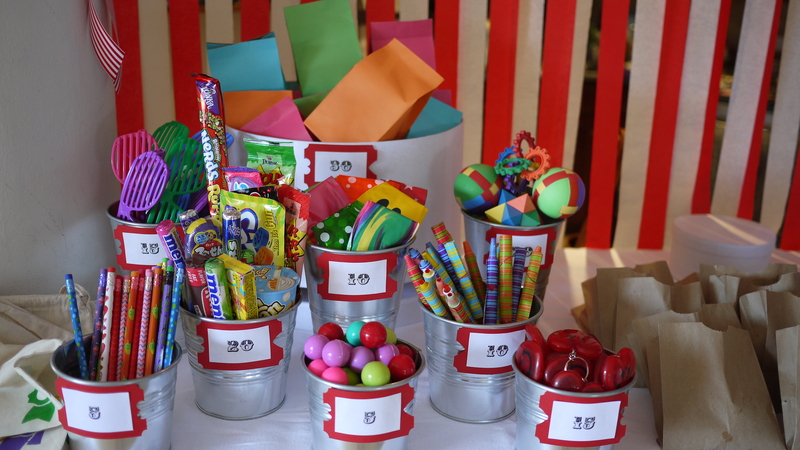 The kids then turned in their tickets for prizes that included things like candy, puzzles, balls, stuffed animals and grab bags. 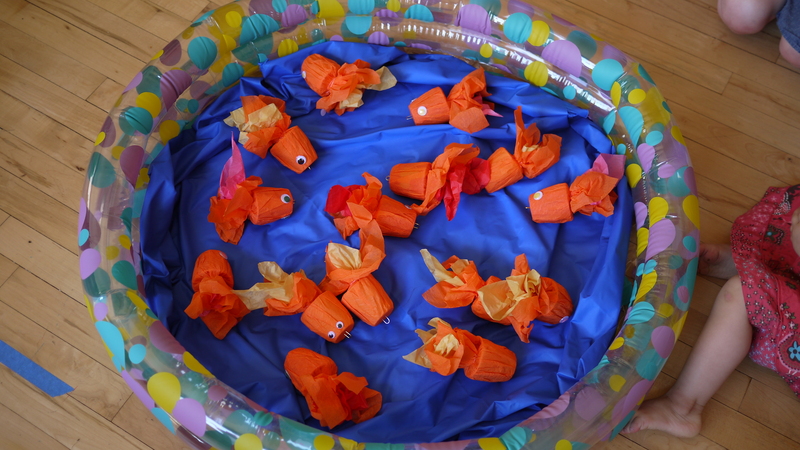 I toyed with the idea of another punch box but decided to make a fishing game using crepe paper fish instead since it fit better with the county fair theme. And that’s how we ended the party.